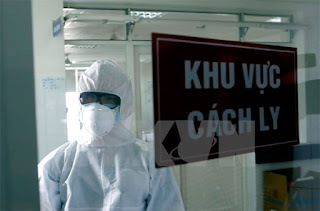 VietNamNet Bridge – Viet Nam still faces long-term threats including A/H7N9 bird flu and new infectious diseases such as Ebola, Zika, Middle East Respiratory Syndrome (MERS) and other problems such as high blood pressure, diabetes, cancer and unsafe food. Associate Professor Nguyen Cong Khan, director of the Department of Science, Technology and Training under the Ministry of Health (MoH), made these remarks at the national scientific conference on public health, which was held yesterday (April 25) in Ha Noi. In a presentation, Khan said that high blood pressure increased from 1.9 per cent of the total population in 1976 to 27.2 per cent of the total population in 2008. More than 78,400 enterprises violated food safety and hygiene regulations last year, and measles and dengue fever are at high risk for outbreaks. In addition, only half of pregnant ethnic minority women received regular pregnancy examinations, he said. Le Vu Anh, president of the Vietnam Public Health Association, said another problem is that the country’s ageing population is quickly increasing, and geriatric care is not up to par. Ten per cent of the elderly had to live in temporary houses, especially in central and southern provinces, while only five per cent of them had pensions. A total of 95 per cent of the elderly suffered from chronic diseases, and many suffered from more than two diseases. Professor Nguyen Viet Tien, Deputy Minister of Health, said that going forward, public health researchers should focus on health insurance and hospital administration, non-infectious and infectious diseases, food hygiene and safety, and geriatric health. Treatment should go hand-in-hand with prevention, Tien said, adding that an overarching health information system should be set up. Universal health insurance and health equality should be promoted to ensure that everyone can access health care services, he said. Le Vu Anh suggested that the elderly be encouraged to join community activities to improve their health. Through these activities, the elderly could learn from each other, help each other and contribute to the community’s development, he said. The elderly would feel that they were respected and would be in better physical and psychological condition, he added. During the national conference, experts from the MoH and non-governmental organisations, lecturers, researchers and postgraduates in the public health sector shared public health results and discussed ways to apply scientific research to real situations.